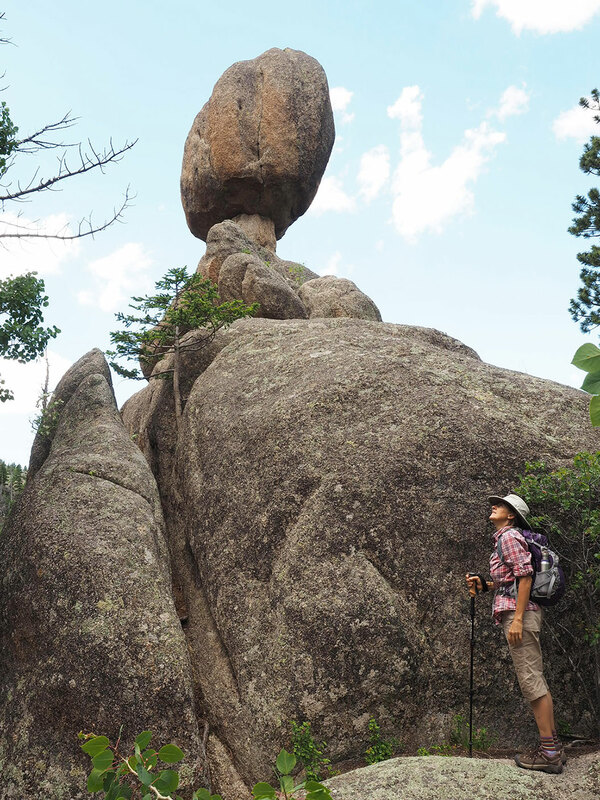 We took a hike up to visit an old friend today: Balanced Rock up on Lumpy Ridge. We hiked from the Cow Creek Trailhead, which was recently re-opened. In a few places, the flooding last fall has permanently changed the landscape (kudos to the Park Service for getting the bridges over the creek rebuilt so quickly), but most of the trail was just fine. We were very happy to see that there was no damage to Balanced Rock itself.